There are two places to initiate Payout Reports. Select which of the consigned units you'd like to create the payout for, click on the green button "New Payout"
Click the green "Customize & Send"
This brings you to the payout itself, you can click the "edit" button next to each individual reservation to edit the totals for the owner payout, should you want to. 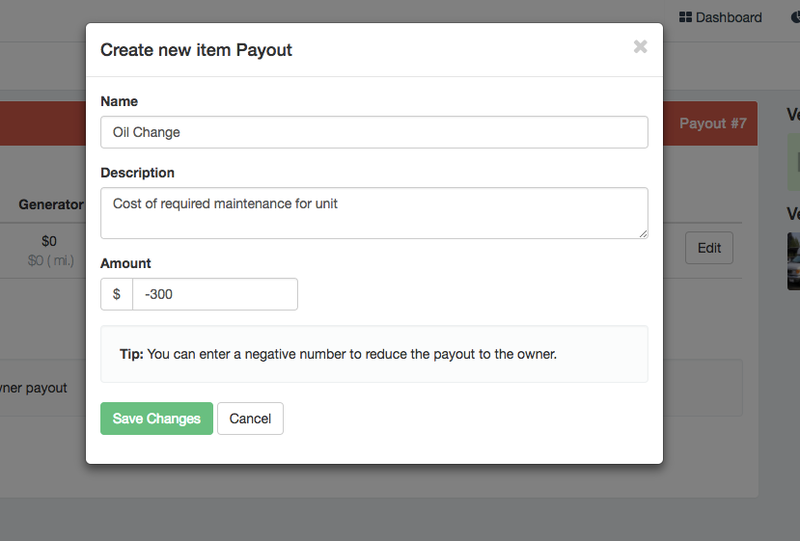 You have the ability to create additional line items for a payout, to add or subtract from the payout total (ex. 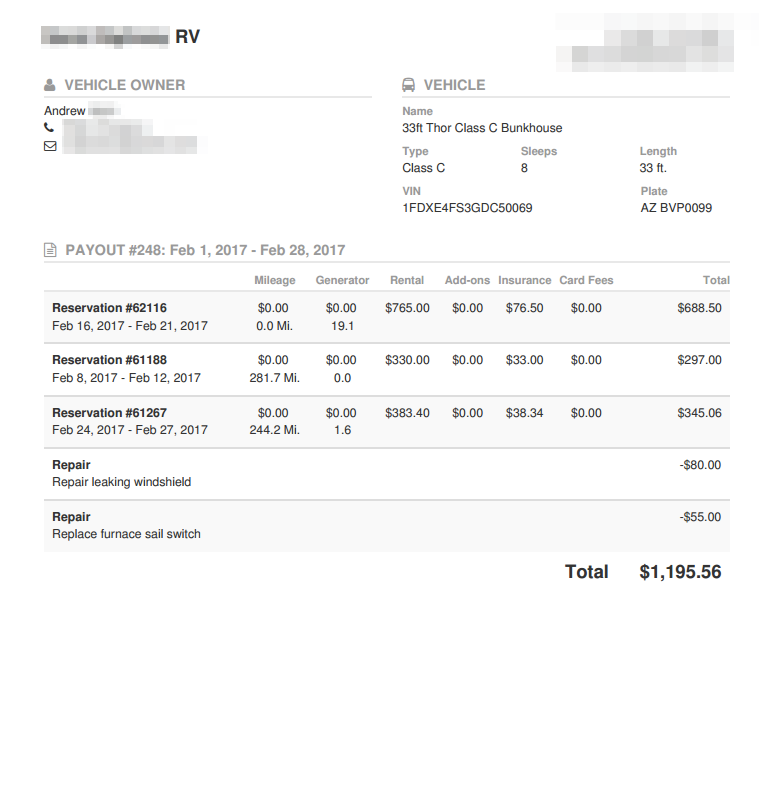 create a line item for maintenance and deduct from the owner payout).